This year, with so many of us living all over the place, and with my network ever expanding online, I’m hosting a separate betting pool on my website. And this is not just for my close friends (I’ll still do that at home)! So come one, come all. Annnnnnd… since I don’t really know the legality of hosting a betting pool online, it’s more of a contest. Free to play, winner gets a $10 giftcard to Amazon.com. 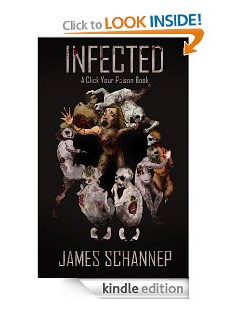 PLUS, as a bonus standing offer, if you can beat me personally, I’ll gift you an ecopy of INFECTED (if you don’t have one already). All you have to do is fill out the form below before showtime on Feb 24th (I’ll post mine online then too) to qualify. The complete list of the nominees are here. ← Tell Me, Why Do We Love Zombies So?